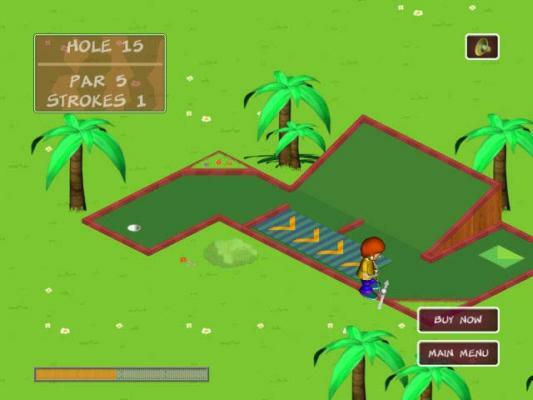 Enjoy three 18 hole mini-golf courses. Get an entirely different feel for the golf course by experimenting with 3 different types of ball that behave and bounce in completely new ways. atmosphere. 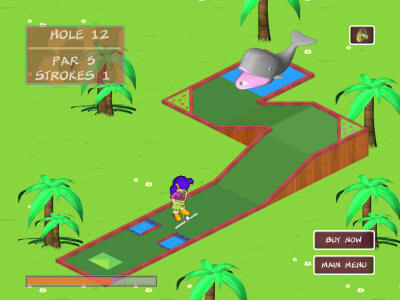 Each hole is manageable and can be completed at or under par with practice and logic. 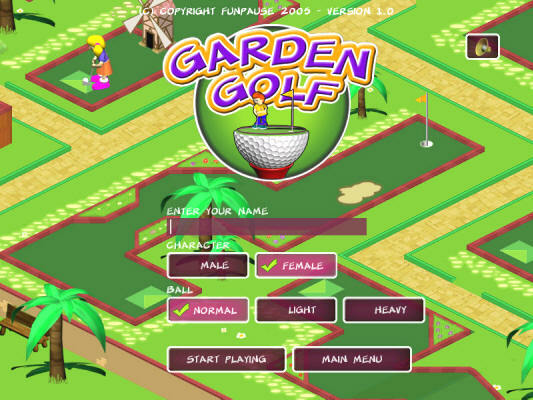 A computer mini-golf game that exercises your brain instead of your thumb! Family-friendly, cartoon-style animation.